Do you want to step up your Etsy game big time? Welcome to this post, sponsored by SendItNow. SendItNow wanted to provide a quality guide for small business owners who want to package their products beautifully and send it responsibly, with your buyers in mind. If you have stumbled upon this article and have a desire to do grow your business through excellent customer service and packages people will WANT immediately, then you have come to the right place. Beautiful, practical packaging are the back bone of your business. Without it, I’m sure you would see your sales fall dramatically. I know I’ve bought items that I’m certain I could have sourced for less money because the packaging was so beautiful. Here is some handy advice to help you package your products and make your customers keep coming back for more. **Obviously there is no gurantee for this, it depends on the quality of your products but it will definitely help! Don’t waste Packaging, not only would it be bad for the environment, you will be eating into your profits and who wants that?! No thanks! 1. My absolute favourite packaging came from Megan Wells on Etsy, a print I had purchased. It arrived safely with my address written beautifully with a hand drawn ornamental detail above and below my address. Follow Heart Handmade UK Craft and Decor Blogger ‘s board Lettering on Pinterest. 2. Any package from Tara Anderson makes my heart skip a beat! The packaging is simple but the addition of typewritten notes and tags stapled on usually makes it pretty memorable. There are always photos of the finished packing in Tara’s listings. 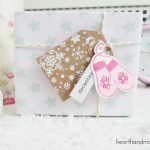 Follow Heart Handmade UK Craft and Decor Blogger ‘s board Gorgeous Packaging and Gift Wrap – Open Group Board on Pinterest. 3. Packages from Glitter Artzy Crafts. If you specialise in delicate or large items like ceramics, vintage pieces or furniture, you might have to check out a courier service and figure out what materials you will need to package your item up safely. Here I used lots of tissue paper, bubble wrap, and permanent markers. I have to send three mugs and a few books. The idea was to wrap the mugs as safely as possible without wasting supplies. I filled the mugs full of packing nuts, wrapped the mug with white tissue paper first, jamming a lot of tissue paper in between the handle and the body of the mug. Then coloured tissue paper, tape, a little decorative item. This parcel is going out using SendItNow, they’re coming straight to my house and then this baby is actually off to Poland. It will be there within a couple of days. Woo! You can see the SendItNow Facebook page for all of their updates. Follow Heart Handmade UK Craft and Decor Blogger ‘s board Happy Mail and Stationery on Pinterest. Ship it! Check out the SendItNow service, they offer UK and international shipping and you can either have your parcel collected from your house, or take it to any post office or drop off point (check the drop off points on the respective websites). Stay connected with your customers! Let them know when they should expect their item, a little message after you post it is always a lovely idea. After a few days, feel free to connect again to ensure the parcel arrived safely. Do you have any more handy tricks to help boost your Etsy cred? 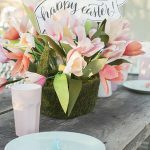 Click to view all the fabulous Linky Parties I link up to!